← Beautiful weather for a drive! Q+A is a new feature on Dream Big Cape Breton. These are interviews done over the Internet, via email or Facebook. I send someone 10 questions, they write back their responses! It’s quicker and saves time and fuel. The questions vary from person to person but you’ll see a lot of similar questions being asked, especially the first three. Today’s Q+A is with Daniel Harris, a Sydney native who’s made his way to Brooklyn, New York via Vancouver. 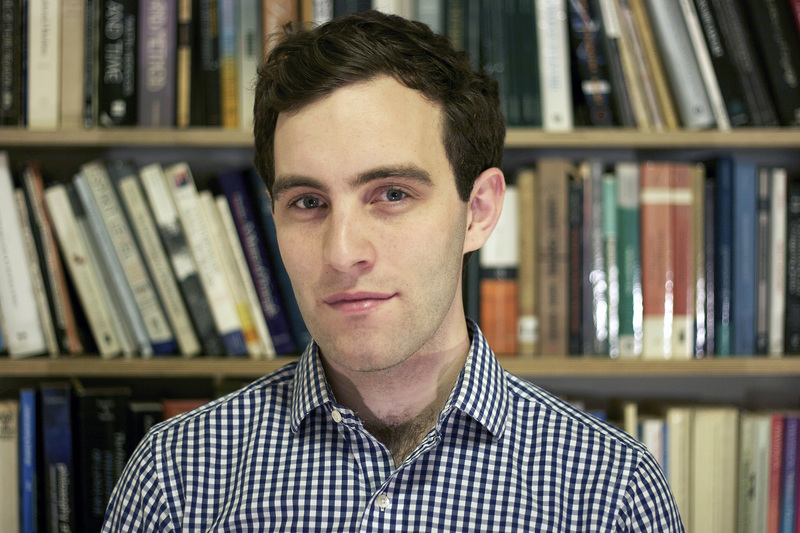 He’s currently working on a PhD in philosophy at the City University of New York Graduate Center, and teaching philosophy classes at Brooklyn College. month or two since then. I live with my girlfriend Margot, who’s from Chicago, in a neighborhood of Brooklyn, New York that’s called Fort Greene. For the last three and a half years, I have been working on a PhD in philosophy at the City University of New York Graduate Center, which is in midtown Manhattan. I have another year and a half to go before I’ll be finished. Right now I am writing a dissertation about the nature of linguistic meaning and a bunch of other foundational issues that come up when we try to understand how people use natural language. I also teach several philosophy classes at Brooklyn College, including logic and business ethics. If all goes well, I’ll be looking to start a permanent job as a university professor in a couple of years. This will probably involve moving to a new place somewhere in North America, or conceivably Europe or Australia. I won’t have much of a choice about where I wind up. 4.What are the things you do whenever you come back to CB, that are “must dos”? My number one priority is to spend as much time as possible with my family. My parents and brother live in Sydney, and although they’ve visited me a few times, I mostly get to see them when I’m in Cape Breton. That’s usually twice per year. For the last four years, another must-do while in Cape Breton has been a trip to the Cape Breton Regional Hospital’s Cancer Center. I was treated for testicular cancer ten months before I moved to the United States. Although that treatment was a quick and unequivocal success, I’ve had to have semiannual followup tests, and so I decided to squeeze them in during visits to Sydney rather than try to play the pre-existing condition game with my American insurance company. The result is that a visit to Cape Breton’s wonderful oncology specialists has been part of my recent routine. usually try to see while I’m there. And whenever possible I try to fit in some hiking, swimming, and camping, which are things that living in the metropolis causes me to miss out on. This summer, I’m hoping to ride my bicycle around the Cabot Trail. Hopefully Margot will be able to come along. On most Wednesday afternoons I ride my bicycle about ten kilometers to midtown in order to attend my department’s weekly philosophy colloquium. Today I have some writing to do, and the colloquium is on a topic that doesn’t especially interest me, so I’ll stay home and hunker down at my desk for a few hours. My goal for today and tomorrow is to write five or ten pages that answer the question: what act do we typically perform when uttering quantifier phrases like ‘some boat’, ‘both boats’, or ‘every boat’?. If I finish this by tomorrow evening, I’ll send it to my dissertation supervisor and meet with him to discuss it on Friday. Margot is an architect, and so she often has to stay late at the office to meet a deadline. She also sometimes goes to the YMCA after work. Depending on what time she gets home, I’ll either make dinner for us, order takeout, or grab a falafel sandwich by myself. We might pull down the projector screen and watch a movie or the Daily Show. I’ll read for an hour or two before I go to bed. This is all pretty typical, except that on some days I’ll also go to a class I’m auditing or the philosophy of language workshop I organize. Generous chunks of time wasted on the internet or listening to nerdy podcasts should also be haphazardly sprinkled into my description. 6. When you’re travelling and you chat with people about CB, what is their reaction or response? Very few people outside of Canada know where Cape Breton is. I usually start by saying that I am from Eastern Canada. It’s common for a European to respond by asking whether I mean Toronto or Montreal. Telling them that they would have to drive about sixteen hours east from Montreal to get to my home town usually blows their minds—understandably, since they could make it from London to Rome, passing through France, Germany, and Switzerland in the same amount of time. Most people in Vancouver and New York aren’t as ignorant about the broad facts about eastern Canada, although it often requires a quick geography lesson to help them locate Cape Breton, which they then typically assume is either cold and remote or pastoral and idyllic. Every once in a while I meet someone who’s been there, and they usually report skipping Sydney and thinking that the rest was beautiful. Sometimes their attitude resembles that of someone who’s conquered a remote test of their wanderlust, as if Baddeck were the North Pole or the Marianas Trench. My dissertation supervisor told me that he’d like to visit Cape Breton and/or Newfoundland, because he has a thing for “North Atlantic islands like the UK and Iceland”. And, of course, I sometimes bump into other Cape Bretoners here and there. This was pretty common in Vancouver, and less so in New York, although I know of at least one other Nova Scotian PhD student at the CUNY Graduate Center (from Truro no less). Plus I think Kate Beaton lives somewhere nearby, but it would be more like a celebrity sighting if I bumped into her. 7. Do you see yourself ever living in Cape Breton again? Pretend for a minute that you have a magic wand and could change anything about the island to make it so that you would be able to live here. What would those changes be? I can’t see myself returning to Cape Breton on a permanent basis. The rest of the question seems sort of ill-posed to me because it presupposes that deep down, I want to return. Since I was about 16—as long as I’ve had an opinion about the matter—Cape Breton seemed seemed like a place to escape from, to break free from. So I was scheming up ways to do that rather than to stay. and beautiful places and cultures that I haven’t had a chance to experience yet, and I think I am motivated more by curiosity than by nostalgia. So the magic wand would have to make everywhere else less exciting in order for me to want to move back to Cape Breton, but I can’t imagine why I’d wave around a wand like that. River. Especially if there’s a bridge to jump from or a tube to float on. Or maybe better yet: lake. As in the fresh water lake at Ingonish Beach. All of this should take place at night, preferably without swimsuits. But any of the above is awfully nice! All of my favorite stuff to do in CB is better in the summer: camping, swimming, biking, and hiking. People also seem happier and more socially active, there are more of them around, and everybody stops complaining about shoveling snow and paying for heating oil. 10.What are some neat, community-oriented things that you have seen in your travels, that you think young people living in Cape Breton should know about? My ideal community is one that’s made up of creative people who motivate each other to pour themselves obsessively into pursuits that they love. I organize a workshop for philosophers of language in grad schools around New York that’s like this. We meet once a week and pick apart each other’s ideas with an eye to making them better. But the same general principle goes in any field: you need the right mix of talent, helpfulness, and criticism and something really special can result. Start a club with people who are really good at something, or better yet obsessed with it, and push each other to get even better and even more obsessed. The something could be anything from weight-lifting to designing websites. I once heard a pseudoscientist say that it takes 10,000 hours of practice to get really good at anything, and if that’s true, then I doubt that anyone would bother if they didn’t have a group of people with high expectations around to keep them from slacking off and watching TV or something. I guess this is pretty vague, and I’m not sure if it answers the question. But it seems like the basic structure of any really exciting community. 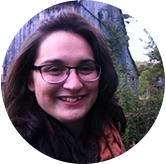 This entry was posted in Education, Q+A and tagged bicycles, books, Brooklyn, Cabot Trail, Cape Breton, community, interview, Kate Beaton, New York City, PhD, philosophy, Q+A, university. Bookmark the permalink. I like this interview a lot. I think that Dan’s replies were really well thought out and articulated. I like what he says in the last answer there about needing a commited group of people around you, who are interested in exactly the same thing as you are in order to get the creative juices flowing, and to get proficient in your chosen area. I also like his comment on other places offering interesting ways of living, and that these places are worth exploring too.